So I had someplace to start on the Google search. It seems that Kamiko has been used since 730-750. It was originally used for religious purposes for Buddhist monks. Silk and Cotton were not used because of there devotion to humility. Kamiko was very warm and didn't provide the ventilation that hemp clothing did during the winter. This can still be seen today in Omizutori, a Buddhist event at Todaiji Temple in Nara. Paper garments were also worn by the poor who couldn't afford silk or cotton. Paper was a cheap material that was similar to bleached cotton fabric in warmth. The hand made paper also had a much higher tensile strength of modern paper, but would still disintegrate if washed. I also saw several references for Samurai's using it in battle garb during the Edo Period(1615-1868). It was often lined with cotton or silk for comfort. The Samurai's were also copying the monks, the samurai and nobility wore the paper as a symbol of humility and simplicity. Japanese Folk Textiles: An American Collection. Fifi White. Kyoto, 1988. Japanese Folk Textiles: An American Collection. Fifi White. Kyoto, 1988. One person's collection of a wide range of Japanese country textiles. Sections are devoted to kyogen and other costumes, fireman's garments, paper garments--kamiko, kasuri and shima, shibori, sashiko, tsutsugaki, and katazome. Very brief text and captions in Japanese and English. Paper, 170 pages. 140 color illustrations. Literally, "paper clothing". 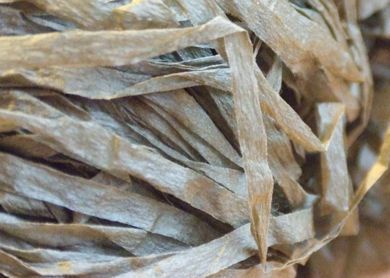 The kozo paper is treated with persimmon tannin and, after drying, it is crumpled thoroughly, and then smoothed and tailored into wearable apparel. 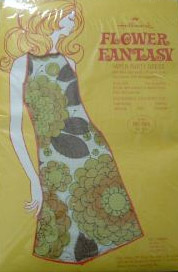 One reason this really intrigued me (other than the obvious Habu Connection) was that in my textile collection I actually own 3 paper dresses from the 60's that were made in the US. They were cheap and truly fashion of the future. Once you were done with the dress you could just dispose of it. The instructions on the plastic bags tell you how to take out your scissors and cut the dresses to the proper length. I always wanted to get them framed for my office since they are bright pink and bright orange. Thanks for the post On Linen Clothing.You should take part in a contest for one of the best blogs on the web. I will recommend this site!